Besides, any of the spare parts can be supplied all the time, that is, during the guarantee period and after the guarantee period. 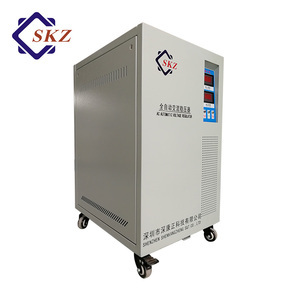 , we design and produce all kinds of Automatic Voltage Regulators/Stabilizers according to our customers&rsquo; specific requirements. Q4: What is the MOQ9 A4: For the small capacity products (Automatic Voltage Regulators/Stabilizers) of the default configuration, it is 10 sets. When can I get the price9 We usually quote within 24 hours after we get your inquiry. If you are very urgent to get the price, please call us or tell us in your email so that we will regard your inquiry priority. How about your quality9 We arrange the production quality according to customers' request. Single phase voltage stabilizer details. Single-phase voltage stabzilier parameter table. Single phase voltage stabilizer internal structure. Q 4. We want to know about production capacity. A. Q 6. What kind of material of transformer9 A. Q 7. Would you accept to use our logo9 A. For relay type stabilizer,we use toroid coils, the material is aluminum. Some of them are our regular customers and some of them are developing. We can expedite for you every day, guarantee not delay your delivery time. 3 YRS Huizhou Yinghua Electronic Co., Ltd. 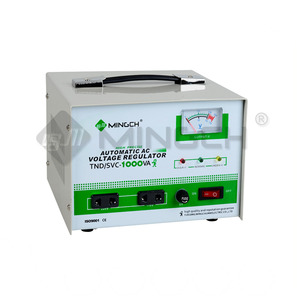 When the power network voltage fluctuated or the load varies, automatic ampling control cirtuit will sent single to drive the servo motor which can adjust the position of carbon brush of auto voltage regulator, then, the output voltage will be adjusted to rated value and get a steady state. 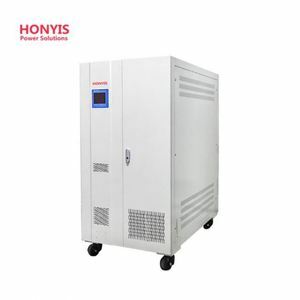 complete specification, nice appearance and obvious features o high efficiency, no wave distortion, reliable performance, working continually for long time, besides, it is provided with short time delay and over voltage protection, and the long time delay and under voltage protection also can be set according to user requirement. 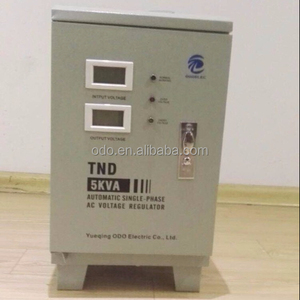 This products is an ideal stabilized voltage supply, widely used in any locations requiring electricity and ensures your power device can run normally, servo motor type Pointer Meter Voltage Stabilizer. 7. If you have not received your shipment within 30 days from payment, please contact us. 3. Customer is responsible for the freight come-and-go,and the custom tax. 7.We do not repair or replace item with an expired warranty. QUESTION 2: What&rsquo;s the loading port9 Usually we prefer Fu zhou port for delivery. QUESTION 3: How&rsquo;s the delivery time9 Normally it will take about 25-30 days for production. QUESTION 6: How&rsquo;s the delivery time9 We have CE, ISO and testing report for our products. 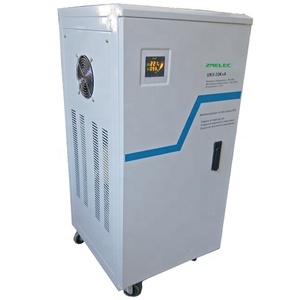 SVC 20kva Automatic Servomax Voltage Stabilizer And Servo Motor Automatic Voltage Regulator Specification of SVCII SVCII-500VA SVCII-1000VA SVCII-1500VA SVCII-2000VA SVCII-3000VA SVCII-5000VA Input Phase Single phase Voltage AC 150V-250V/50V-130V Frequency 50Hz/60Hz Output Voltage 220V&plusmn;3% / 110V&plusmn;6% Capacity 400W 800W 1200W 1600W 2400W 4000W Frequency 50Hz/60Hz Protection Low voltage AC 184V&plusmn;4V Over voltage AC 246V&plusmn;4V Time Delay 3-7sec/3-7min Selectable Overload/short circuit YES Packaging Pcs per Carton 4 1 Shipping Wt. (Kg) 16.6 21.35 23.15 7.9 11.45 20.8 Packing dimensions(mm) 245*340*425 495*285*390 355*295*240 365*275*280 540*325*270 Efficiency AC-AC &gt;95% Acoustic Noise level &le;50dB Environment Temperature -5&deg;C to 40&deg;C Humidity 20% to 90% QTY (pcs) 20FT 3200 2100 2100 1120 1120 600 Specification of SVCII SVCII-7500VA SVCII-10KVA (Vertical) SVCII-15KVA SVCII-20KVA SVCII-30KVA SVCII-10KVA Input Phase Single phase Voltage AC 150V-250V Frequency 50Hz/60Hz Output Voltage 220V&plusmn;3% Capacity 6000W 8KW 8KW 12KW 16KW 24KW Frequency 50Hz/60Hz Protection Low voltage AC 184V&plusmn;4V Over voltage AC 246V&plusmn;4V Time Delay 3-7sec/3-7min Selectable Overload/short circuit YES Packaging Pcs per Carton 1 Shipping Wt. 2 Are you manufacturer or business9 We are manufacturer established in 2002, and have over 16 years production experience. 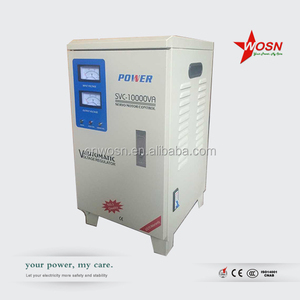 7 YRS Staba Electric Co., Ltd.
9 YRS Foshan Panpower Science & Technology Co., Ltd.
Alibaba.com offers 1,439 svc 240v stabilizer products. About 99% of these are voltage regulators/stabilizers. 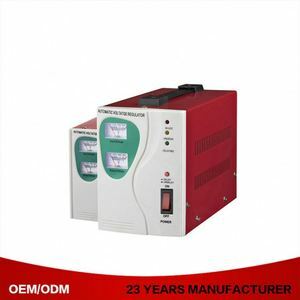 A wide variety of svc 240v stabilizer options are available to you, such as free samples, paid samples. 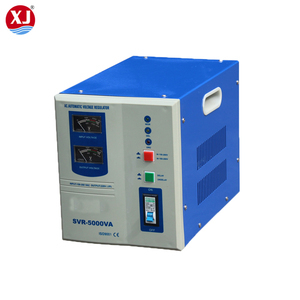 There are 1,439 svc 240v stabilizer suppliers, mainly located in Asia. 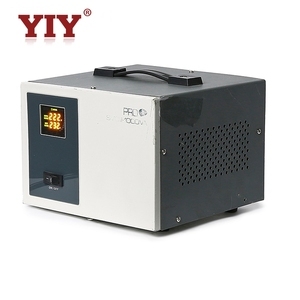 The top supplying country is China (Mainland), which supply 100% of svc 240v stabilizer respectively. 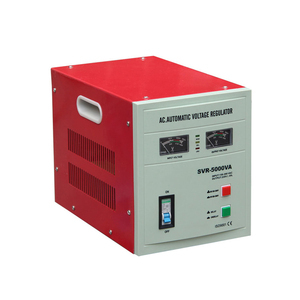 Svc 240v stabilizer products are most popular in Southeast Asia, Africa, and Mid East. You can ensure product safety by selecting from certified suppliers, including 1,175 with ISO9001, 766 with ISO14001, and 744 with OHSAS18001 certification.